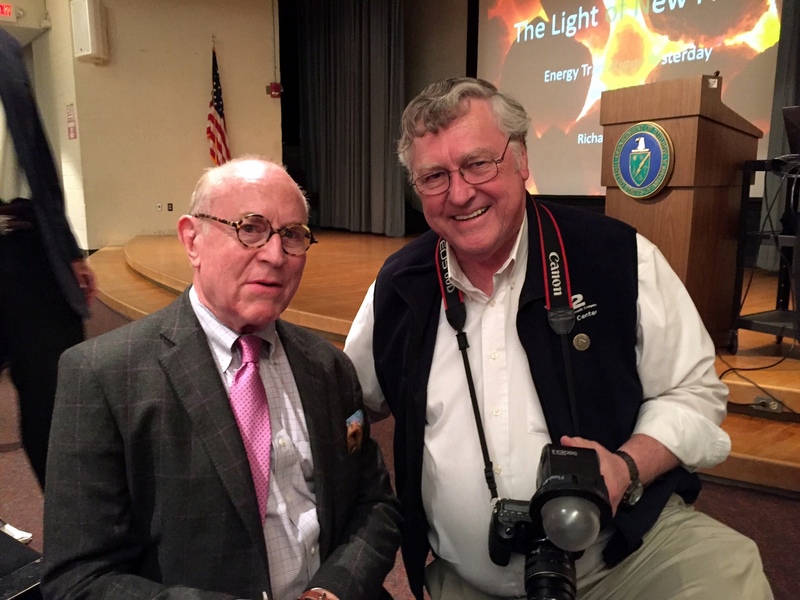 Pulitzer Prize-winning author and historian Richard Rhodes, left, poses with Y-12 historian Ray Smith before Rhodes’ lecture Thursday evening at the American Museum of Science & Energy. Earlier in the day, Rhodes toured Oak Ridge National Laboratory and saw the historic Graphite Reactor, the Spallation Neutron Source and the lab’s stable of supercomputers, including Titan — the nation’s most powerful computer for science. He also had lunch with ORNL Director Thom Mason, and they reportedly had great talks about the energy past and future, sort of bleeding into the Rhodes lecture topic. Rhodes in the afternoon visited Y-12 and got a tour of the historic Beta-3 calutrons. 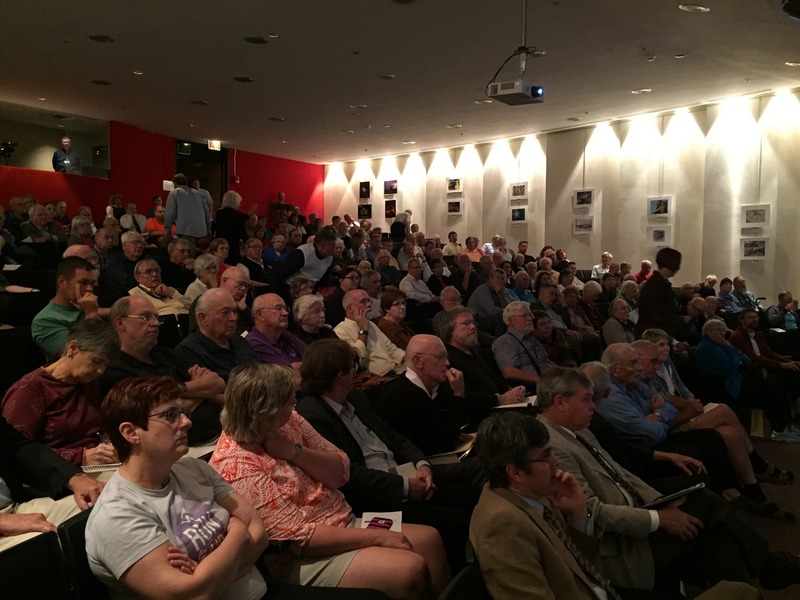 In the photgraph below, it’s easy to see that Rhodes attracted a full-house for his talk, “The Light of New Fires: Energy Challenges Yesterday and Today,” a run-up prep for a new book. This entry was posted in AMSE, History, Manhattan Project Park, ORNL, Y-12 on October 22, 2015 by Frank Munger.